The Gospel Coalition recently updated their website and temporarily removed a massive amount of content, including my review of David Wells’ book God in the Whirlwind. But the review is online again, and you can read it here. —The Gospel Coalition’s Matt Smethurst interviews Wells about the book. —Here’s a PDF study guide for the book. Finally, I’ll try compiling a list of book reviews as they become available. 03/10/14: The Gospel Coalition posted my review of the book. Special thanks to Crossway for producing the videos and study guide. This is a book all Christians should read. And, while generally positive in its proposals, it has sufficient pessimism (though David, as a good fellow pessimist, will no doubt tell me he is not such a one) that this Englishman still enjoyed it. Christianity in the West is shifting to the status of an annoying, perhaps even unwelcome, sect. The future is, humanly speaking, bleak. David’s books in general are a good argument for seeing ourselves as a large part of our current problem and this book in particular offers helpful thoughts on what must now be done. I have a review of God in the Whirlwind forthcoming for The Gospel Coalition, so stay tuned. Call me prudish, but I’ve always been troubled why so many churches in the U.S. don’t meet on Sunday. Instead, not just newer church plants, but even well-known churches such as Bethlehem Baptist Church in Minneapolis (certainly not a church catering to worshiper tastes or trends)—meet on days other than, or in addition to, Sunday. 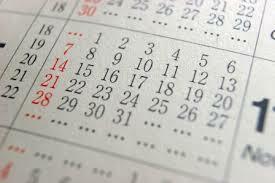 Now I realize the decision to meet on Saturday (the preferred day) instead of Sunday vary and may even be complicated. For some churches, Saturday gatherings are often out of sheer necessity. This was certainly the case with Bethlehem while Piper was still the senior pastor and the church was bursting at the seams on Sunday mornings. But I fear that many churches meet on Saturday for reasons other than necessity, namely convenience or so as not to appear staid and traditional like other churches that meet on Sunday. And even in the case of Bethlehem, adding a Saturday service, even out of necessity, comes with a downside, becoming yet another place for many congregants to double-dip, having the best of both worlds (i.e. listening to Piper’s preaching Saturday night and then returning to their local church Sunday mornings with their ordinary pastor). The all-too-familiar result? A rootless wanderer with toes dabbling in multiple places and spaces on different days. Surely this is not good—not only for the congregant, but for both churches and their respective pastors. But whatever the reasons for meeting on a day other than Sunday, the collective result is the same: Sunday’s biblical and historical significance is flattened and marginalized. Ironically, even tragically, Saturday becomes the new Sunday, a sort of weird evangelical Seventh Day Adventist hybrid. I’m not alone in my concern. …the gospels (especially John) and the early practice of the church (as in Paul) reflect the very early understanding of the church that the first day of the week, the day of Easter, has become a sign within the present world and its temporal sequence that the life of the age to come has already broken in. Sunday, kept as a commemoration of Easter ever since that event itself (a quite remarkable phenomenon when you come to think about it), is not simply a legacy of Victorian values but a perpetual sign, joyfully renewed week by week, that all time belongs to God and stands under the renewing lordship of Jesus Christ. Of course, worship should be ‘seven whole days, not one in seven.’ Many Christians will find, for all kinds of reasons, that Sunday is a difficult day to attend long church services. But we should remind ourselves that the earliest Christians lived in a world where Sunday was the first day of the working week, much like our Monday, and that they valued its symbolism so highly that they were prepared to get up extra early both to celebrate Easter once again and to anticipate the final Eighth Day of Creation, the start of the new week, the day when God will renew all things. —Surprised By Hope: Rethinking Heaven, the Resurrection, and the Mission of the Church (pp. 261-262). So to answer Wells’s (admittedly rhetorical) questions: No to the former, yes to the latter. Jesus’ resurrection reshapes and reorients absolutely everything—even our Sundays. Our inability or unwillingness to recognize and act on it is not only regrettable, but perhaps also an indicator of how little the realities of the resurrection hold sway in our minds, hearts, and wills. May God do a work among the Western church to recover and rediscover the blessings and joy of meeting on Sunday, the new Sabbath and weekly commemoration of Easter. How does God in the Whirlwind contribute to the work you’ve already done in No Place for Truth, God in the Wasteland, Losing Our Virtue, Above All Earthly Pow’rs, and The Courage to Be Protestant? In the introduction, you write that the primary thing that evangelical theology lacks is an understanding of God’s character that carries “weight.” What do you mean by this? You’ve coined the term “holy-love” as a way to refer to the essential union of God’s holiness and love. You write, “Today, our constant temptation, aided and abetted as it is by our culture, is to shatter the hyphen.” How does this happen and why is it dangerous? How should Christians answer the charge that we are intolerant and exclusive in our thinking about God and salvation? You argue that our thinking is fundamentally flawed if we seek to understand God’s love through the lens of our own experiences related to loving and being loved. Why is that? Doesn’t such a claim negate the importance of the imago Dei? What is the biggest challenge the evangelical church will face in the next 50 years? For Wells’s (oft illuminating) answers, go here.